Motorola Solutions and Hytera Communications are scheduled to argue their positions in a trade-secret and copyright trial that is scheduled to begin on Nov. 1 after a U.S. District Court judge denied Hytera Communications’ request to dismiss the case with a summary-judgment ruling earlier this month. Filed on March 14, 2017, with the U.S. District Court for the Northern District of Illinois Eastern Division, the lawsuit from Motorola Solutions claims that Hytera Communications improperly used Motorola Solutions’ trade secrets and infringed on Motorola Solutions’ copyrights in developing and building Hytera’s DMR business in the United States. 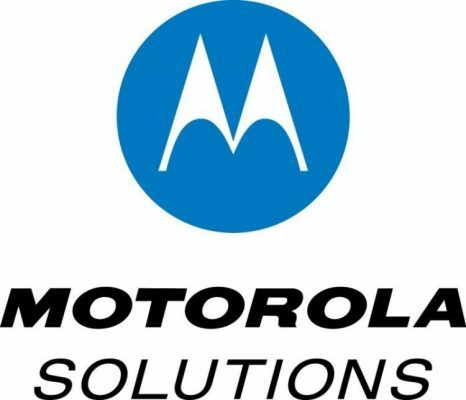 With this in mind, the trade-secrets portion of the case could be dismissed if Motorola Solutions knew of its alleged injury before March 14, 2012, to meet the state law or before March 14, 2014, under federal law. In addition, the facts in the case would need to be undisputed for a judge can provide a summary-judgment ruling dismissing the case. As a result, the lawsuit is scheduled to be heard before a jury in a trial that is scheduled to begin on Nov. 1. “Hytera’s attempt to rely on the statute of limitations to avoid a jury trial on its egregious conduct has been thwarted by the Court’s denial of Hytera’s summary judgment motion on that issue. We are pleased with this significant step towards ending Hytera’s brazen theft of our proprietary intellectual property,” Hacker said in a prepared statement provide to IWCE’s Urgent Communications. Hytera Communications offered a very different assessment of the situation. This U.S. district-court lawsuit is separate from the patent-infringement case against Hytera before the U.S. International Trade Commission (ITC), which ruled last year that Hytera infringed on three Motorola Solutions patents that have been removed from Hytera products, although many facts in the two cases overlap. As a result of the ITC findings, Hytera stripped software code from its DMR products that infringed on the three patents in question, but Hytera is able to continue selling DMR equipment in the U.S.
Hytera Communications gained access to the Motorola Solutions patents, trade secrets and copyright material about a decade ago, when three former Motorola employees allegedly downloaded more than 7,000 Motorola files about DMR technology just prior to becoming Hytera employees. Even though none of the engineers in question—G.S. Kok, Sam Chia and Y.T. Kok—were working on DMR projects at the time they left Motorola, although they had worked on DMR-based MOTOTRBO products previously. When questioned about the matter, all three of the Hytera engineers have invoked the Fifth Amendment to avoid self-incrimination. However, Hytera does contend that the statute of limitations had passed when Motorola filed its lawsuit in Illinois, noting testimony that Motorola Solutions employees suspected that Hytera improperly was using the Motorola Solutions’ intellectual property in DMR products as early as 2010 and 2011. Motorola Solutions states it investigated the matter in 2012, but that investigation “turned up empty handed,” according to the summary-judgment ruling. In addition, Hytera claims that Motorola Solutions should have checked the access logs of the three engineers in question before 2016, when Motorola Solutions said it discovered the downloads in connection with research done in connection with a patent-infringement claim against Hytera, according to the court ruling. Although Judge Norgle did not rule in favor of Hytera’s statute-of-limitations argument for a summary-judgment decision, the finding does not preclude the legal possibility that the same argument might be successful at trial, according to legal sources.